Health Minister Litzman welcomes Supreme Court decision to reject petition demanding Shabbat public transportation. 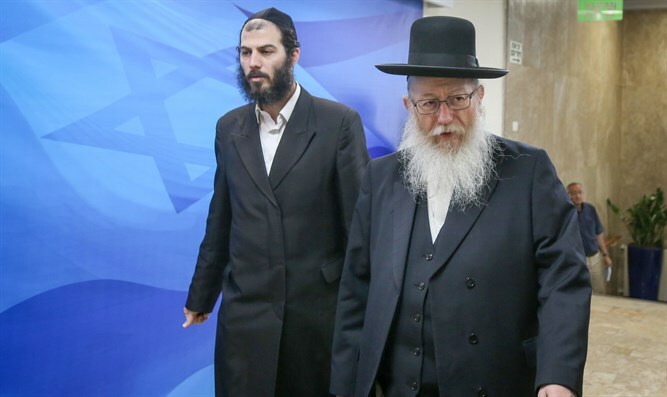 Health Minister Yaakov Litzman today (Monday) related to the Supreme Court's decision to reject the petition demanding public transportation on Shabbat, submitted by Meretz and Reform Movement organizations. Litzman said that "the purpose of the petitioners is not rooted in concern for the public on weekends, but is rather meant to undermine Jewish tradition's foundations and to destroy the status quo that has been practiced in Israel over the years. The Supreme Court did well not to support this purpose in this case." The Health Minister praised Transport Minister Yisrael Katz for taking a clear position in the hearing that "the state's position should be preserved to secure the status quo on public transport on the Sabbath." "The Supreme Court's decision was made in light of the section of the law that the haredi Knesset delegation worked on, according to which 'the Minister must take Israel's tradition into account as far as possible regarding movement of vehicles on the Sabbath,' and emphasized that 'Sabbath observance in the public domain has always been a symbol of the status quo, and we must guard against harming it in any way.'" High Court judges Hanan Meltzer, Neal Hendel, and David Mintz decided to reject the petition submitted by the Reform Movement, Free Israel, MK Tamar Zandberg, and Hadash, demanding that public transportation operate on Shabbat. The reason given for the petition's rejection is the absence of a formal request by a public transportation company to operate lines on Shabbat. The judges noted during the hearing that without such a request, the petition lacks a legal basis, and therefore there is no choice but to reject it. Knesset Finance Committee Chairman MK Moshe Gafni said after the Supreme Court ruling that "the ruling was not surprising; it was absolutely clear. There have been many attempts by various groups to pass a bill that permits public transportation on the Sabbath. It was clear that the court could not grant this request and did its best in the present case." According to Gafni, the Supreme Court "threw the Reform Movement and all the other organizations out the door; correctly, legally speaking." "I highly praise Minister Yisrael Katz on this issue; he kept insisting that his authority also includes taking the tradition of Israel into account; it is written in the law. He stood his ground in the Knesset plenum when provocative proposals were submitted to enable public transportation on Shabbat that would have completely changed life for both the religious and non-religious, and Yisrael Katz did not allow this to happen. Today's court decision is credited to him as well as to us."